Eating protein in the morning is so crucial for me to stay focused and full throughout the morning at work. 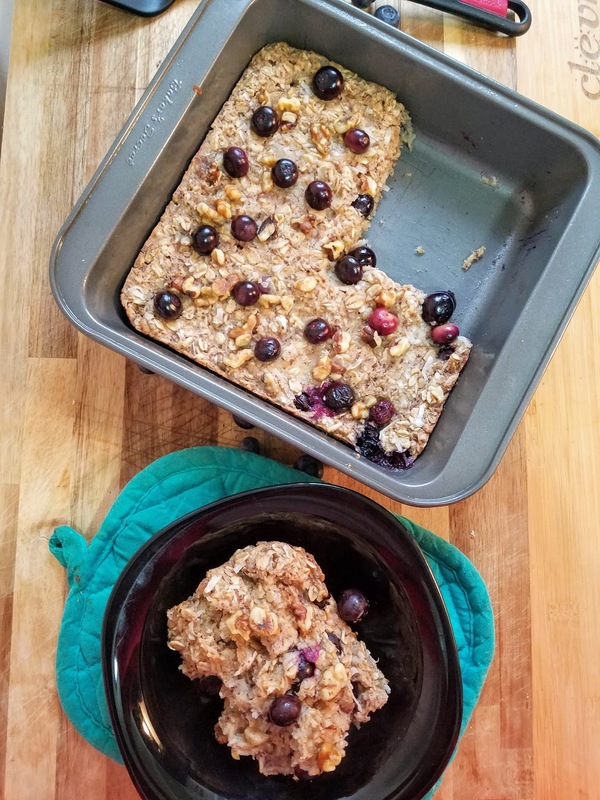 I need breakfasts that are high in protein and fiber to make sure I am at my peak performance. 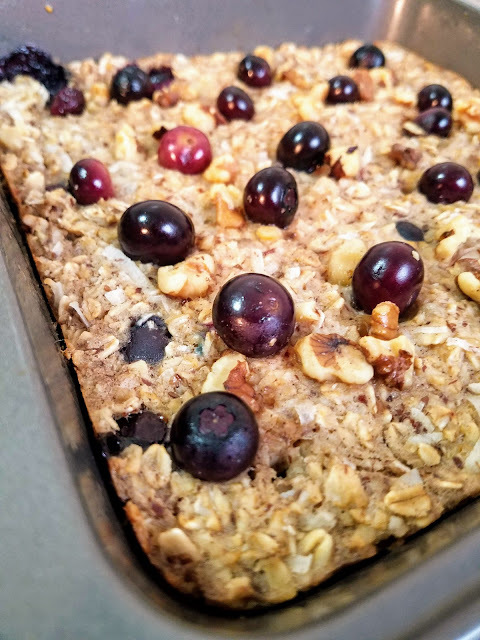 As you can imagine, this baked oatmeal is the ideal breakfast for hungry people like me! Preheat the oven to 350 degrees. Mix flax seed and warm water together in a small bowl and set aside to congeal. 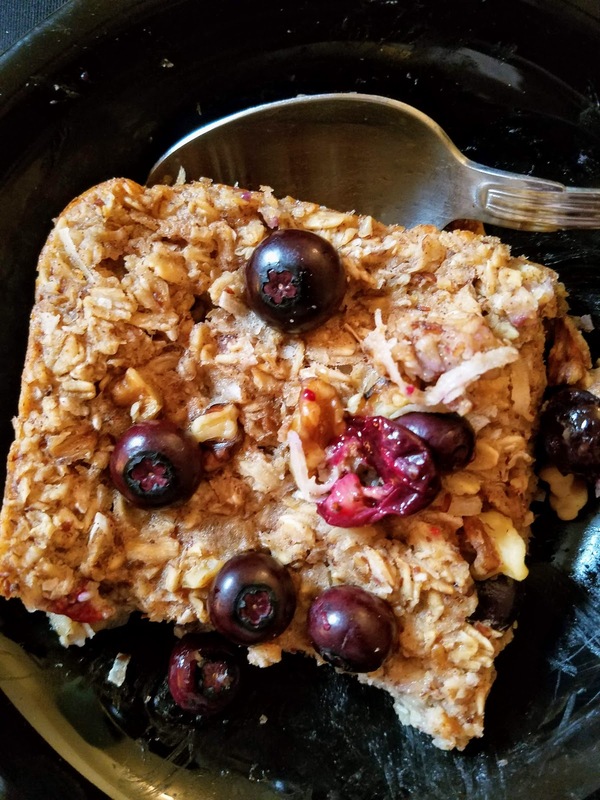 Mash the banana in a large mixing bowl and mix with oats, cinnamon, baking powder, almond milk, coconut oil, maple syrup, flax egg, and vanilla extract. 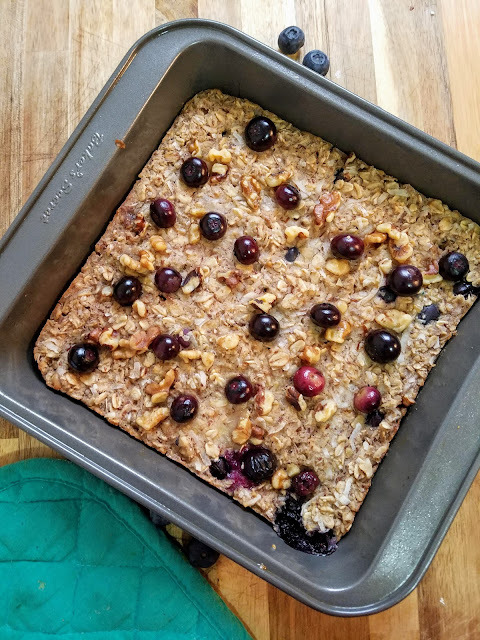 Fold in coconut flakes, half the walnuts, and half the blueberries. 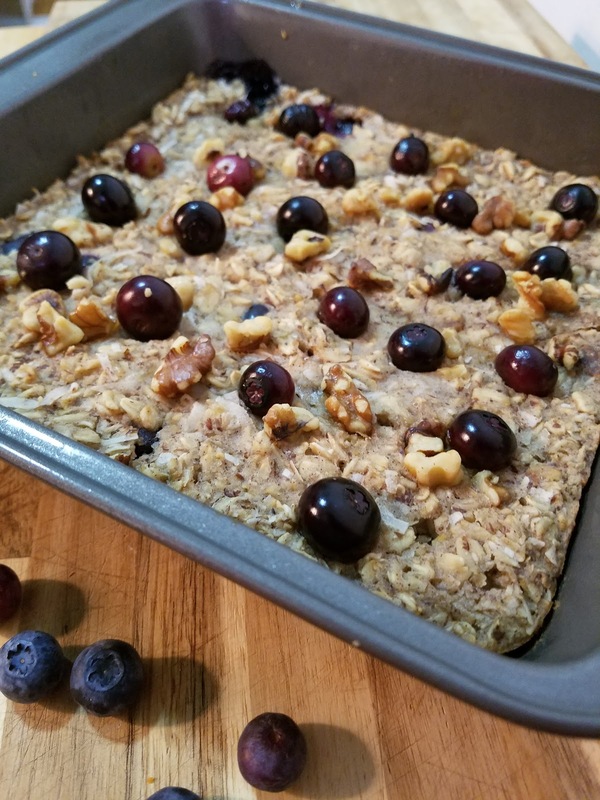 Top with remaining blueberries and walnuts. Transfer to a lightly greased baking dish. Bake for 20-25 minutes, or until firmed up and golden brown. Slice and serve immediately.